Premium 100% Natural Chicken Jerky Treats Your Pet Can’t Resist! 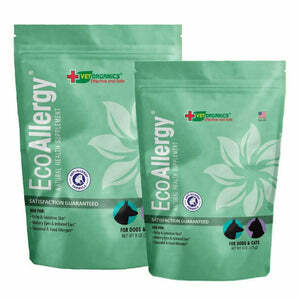 EcoTreats Signature Chicken Jerky is the freshest, highest-quality chicken jerky treat on the market. Our Signature Chicken Jerky is free from salt, glycerin, and other additives. Made in the USA from top-quality chicken breast filet slices, this is a healthy and delicious treat your pet will love! Vet Organics Chicken Jerky Treats are made with 100% chicken breast—the same quality meat that you would eat. When it comes to dog treat recipes, We know that less is really more. The only ingredient you’ll find listed is pure meat that’s been thinly sliced and dehydrated to create a jerky that’s chewy and irresistible. This delicious snack delivers nearly 87% protein and all the flavor your pet craves. To keep every bite as fresh as the first, we let nature do its work by using a drying process instead of adding chemical preservatives. The result is a portable protein treat that you can take anywhere for spontaneous on-the-go rewards. Break them into bite-size pieces for tinier pups, or to just stretch out treat time. Try EcoTreats Signature Chicken Jerky -- a guilt-free, healthy treat with superior taste your pet will love! Our Signature Chicken Jerky is a truly signature. This jerky is a straightforward, what-you-see-is-what-you-get type of product. You can SEE the slices are clearly from a whole, not formed, white meat chicken breast of the highest quality. You GET a product that’s only chicken – nothing added. It’s a lean, high-protein snack that you can trust. EcoTreats Signature Chicken Jerky is made in the USA under the highest-quality control standards, so you can rest assured that your pet is getting safe, natural, nutritious treats! Because chicken breast is naturally high in protein and low in fat and packed with essential nutrients, we don't need to add anything extra in order to get great health benefits - it's already there naturally! Get EcoTreats Signature Chicken Jerky Now! No added chemical preservatives; this jerky treat is made with only one ingredient: 100% delicious chicken breast. The natural drying process makes sure this tasty jerky stays fresh. If you want to give your dog or cat a delicious, healthy, guilt-free treat with an amazing flavor they will love, look no further then EcoTreats Signature Chicken Jerky. Because these treats are 100% natural, they make a great addition to your pet's diet. Treats should be a part of every pet's life! EcoTreats Signature Chicken Jerky is great for use as a reward or training aid. Treats help make training fun! Get your all-natural treats today, and we’ll have your EcoTeats Signature Chicken Jerky wrapped up and on its way to your doorstep. Your pet will thank you for giving them these delicious, flavorful treats! SERVING SUGGESTIONS: Feed as a healthy treat. Treats may be served whole or broken into pieces as needed for smaller pets. Feed only 1-2 pieces per day at first to ensure no food allergies or chewing/swallowing problems exist. Feed up to 3 pieces per day for cats and small to medium dogs, or up to 6 pieces per day for large dogs. Treats should make up less than 10% of your pet's daily diet.